Generating quality leads and maintaining lasting customer relationships is a challenge for any sales team. It gets tougher when you have to switch between your email client and CRM app to enter the customer’s information. 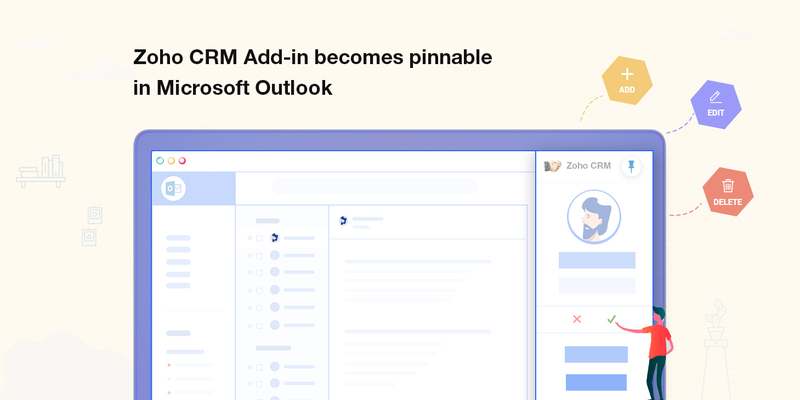 Introducing Zoho CRM add-in for Microsoft Outlook: a quick way to manage your leads and contacts from your inbox. Filtering details from customer emails is a crucial part of sales management, yet it’s a tiring, time-consuming process. With this add-in right inside your inbox, you can choose to filter, process, add, and edit data quickly and easily inside your Zoho CRM. Bring your CRM inside Outlook. Since sales is a continuous cycle, your CRM data should always be at your fingertips. With Zoho CRM’s Outlook add-in, add leads or contacts to your business without switching between windows. The add-in is an easy-to-access tool, faster and more contextual than switching tabs between email and CRM apps. The add-in parses the email data automatically once you open an email, telling you whether the sender is already a business contact or a new opportunity. Typically, your sales team’s day consists of collecting and organizing lead details, following up with the leads, sending out quotes, logging calls, and monitoring the campaigns for effectiveness and return on investment. Now, there’s a system where they can log calls, read emails, add deals, take notes about a customer, and edit the related details without going to the CRM system. So, what’s new in this add-in? Click on an email and the add-in will fill in the details for you. If the lead or contact already exists in your CRM system, it will fetch the details, letting you focus on making the sale. See all customer activity in one place to make better sales decision. We have brought you a cleaner, simpler and more insightful UI to help you take charge of your sales process. Click on an email to add the addresses as a Lead or Contact. The add-in lets you manage your CRM efficiently by letting you choose to keep or discard data based on the email. This helps you filter emails by the most relevant information, making nurturing more effective. The lead confirms a deal over email. What do you do? Go to Zoho CRM, search for the lead, and convert it? Not anymore. You just click a button and convert the lead into a contact. It’s that simple. 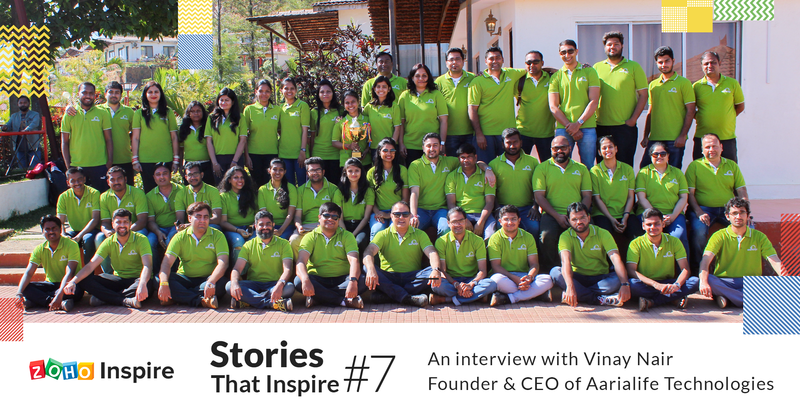 This feature will allow you to follow a seamless lead nurturing process. Engage with your customers to produce better sales results. View and edit notes, tasks, events, and calls to get information about the previous conversations. This will make following-up easy. Keep track of your customer deals to know about the potential revenue a customer can generate for your business. The add-in also helps you keep track of your campaigns to monitor your return on investment. Thus, you get the maximum benefit from every penny you spend. Pin your CRM to your inbox. We have taken away the hassle of opening the add-in repeatedly to keep tabs on your CRM process. The Zoho CRM add-in is made pinnable so that you can always keep track of your sales process. Once you pin the add-in, the details from the email automatically get filled in the add-in editor as soon as you click on an email. We at Zoho constantly create solutions for you that are easy to use yet powerful. Try our Zoho CRM for email add-in for Microsoft Outlook to keep your sales process organized, effective and efficient. There are more updates coming your way. Keep all your devices ready to check them. Nice work. One question is why do users have to create a contact/lead in order to create an activity from an email? There are many, many times I want to create an action based on an email that I do not want to create a contact/lead from. For instance, maybe it’s an email reminding me of a seminar or trade show I’d like to attend. So let me click on it and add an activity from it. I don’t want to have to fill our leads/contacts with useless entries just so I can quickly add an activity right in email.